Lacquer: The Best Medicine! : Short and Sweet Valentine's Day Giveaway! Short and Sweet Valentine's Day Giveaway! 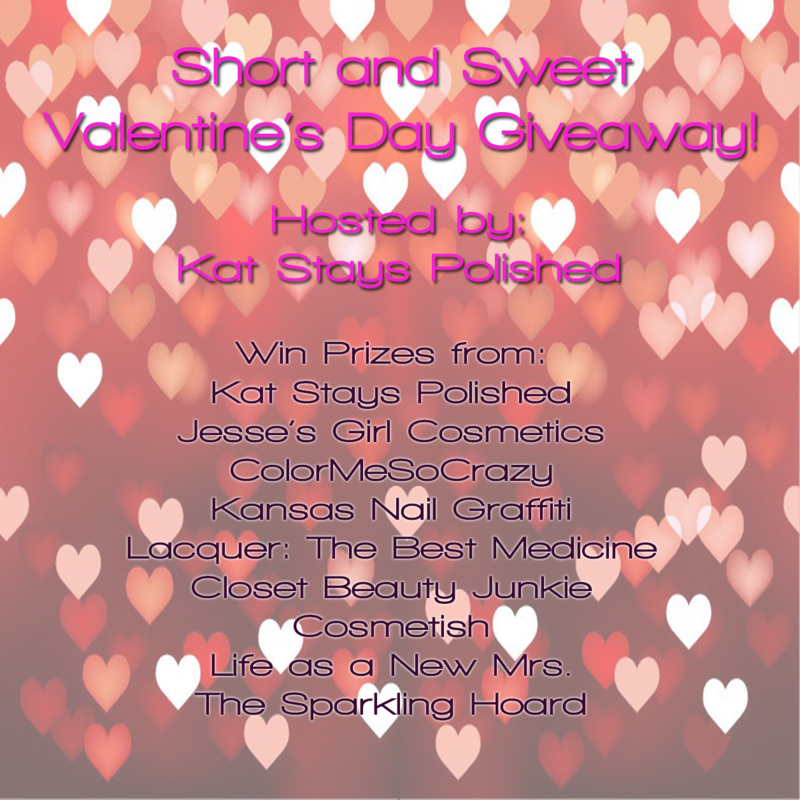 The lovely Kat from Kat Stays Polished is hosting a sweet Valentine's Day Giveaway! Check out all the prizes up for grabs and enter below! US only.